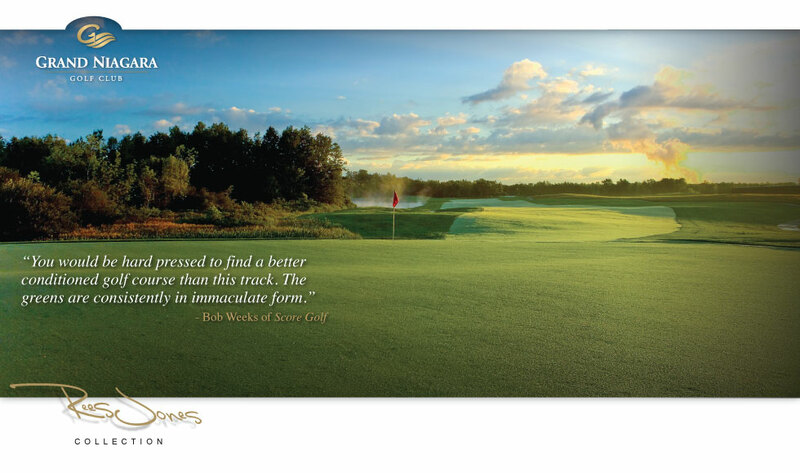 The Rees Jones Course at Grand Niagara is a classic design that captivates and challenges players of all levels. Grand Niagara has comfortable banquet facilities that are ideal for VIP and corporate golf events. Your guests will enjoy the rolling fairways and the wisps of fescue that evoke images of the mist rising from nearby Niagara Falls. The course is a gentle 5,737 yards from the forward tees, and a daunting 7,425 yards from the championship tees. Playing each of the four set of tees entails a unique challenge, entices a unique approach, engenders a unique adventure. We offer straight tee times, shotgun events or split tees. Group rates are available. Whether you would like a standard group event or a customized outing, our professional staff can accommodate your needs. Carts are mandatory. 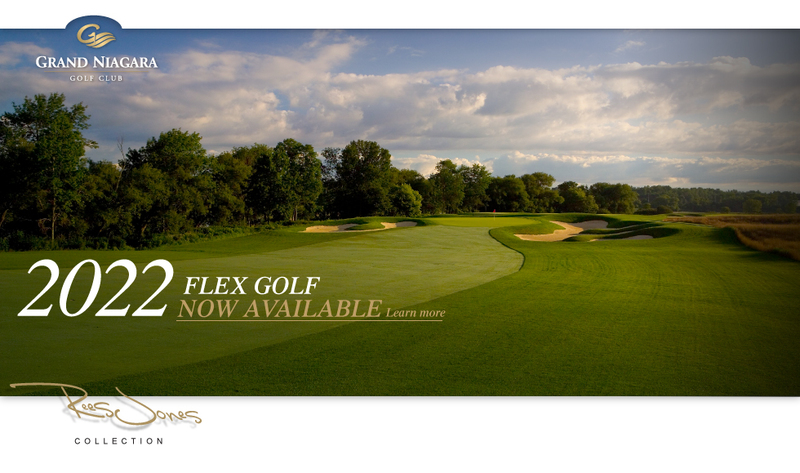 For a truly grand golf experience that only a Rees Jones course can provide, book your next event at Grand Niagara. Call Bob Culig at 905-384-4653 x222 for more details.